What a good weekend. 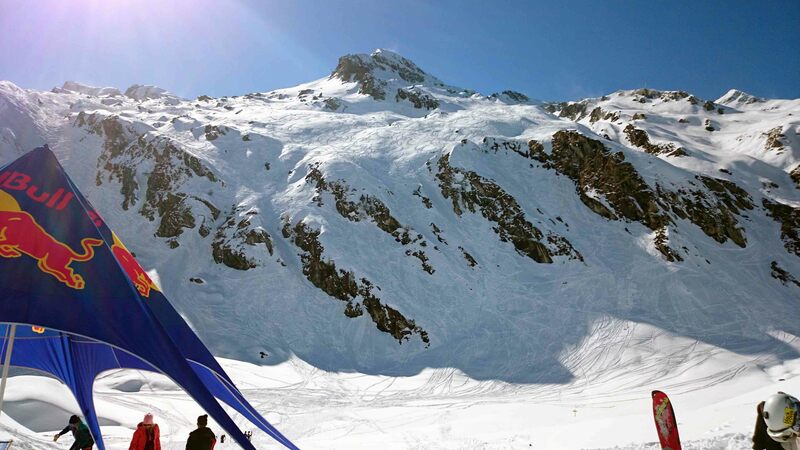 I took some time to recover from the hangover, after heavy partying to celebrate my Austrian Freeride Master Title, which I was able to win the second time in a row at the last competition end of March at the X-Over Kitzsteinhorn. 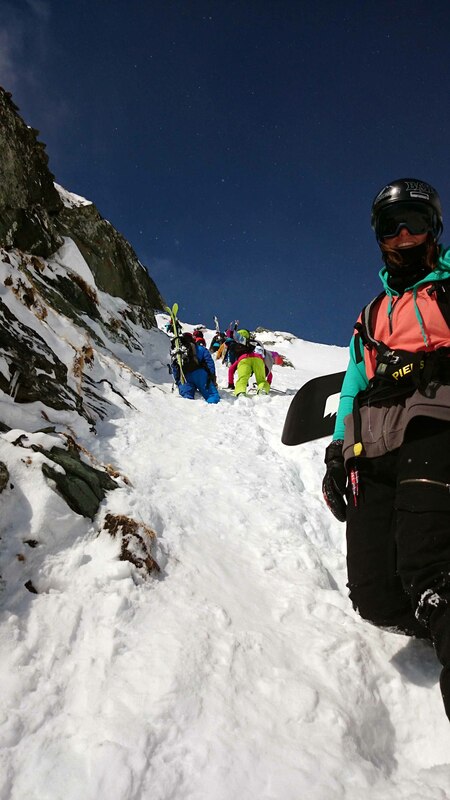 For the Austrian Series pretty much all Freeride Qualifier Stops in Austria count together. View from the finish area, the lower part of the face is really close to the public area, so it’s pretty exciting to watch the competition. Especially as some of the good action is shown at the last drops. My run was not really what I expected to show, the snow had changed massively during the two hours from my facecheck to the start and I just didn’t really pick a intelligent line. 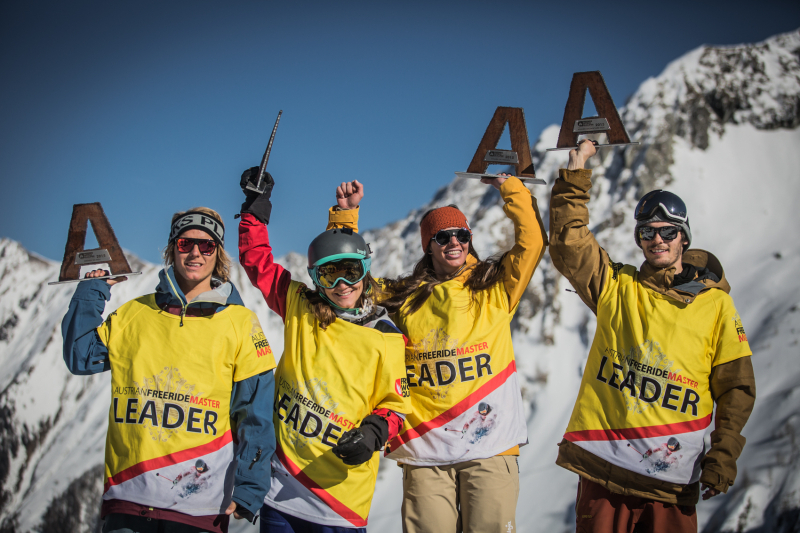 It was still good enough for the third place, as most of the other snowboard women also had problems with the snow conditions. 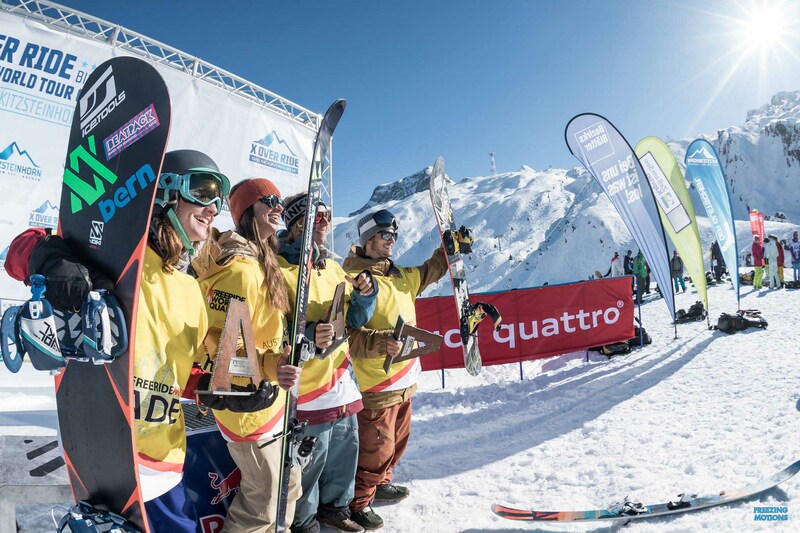 What really made me happy, was the fact that I was able to rescue my Austrian Freeride Master title. 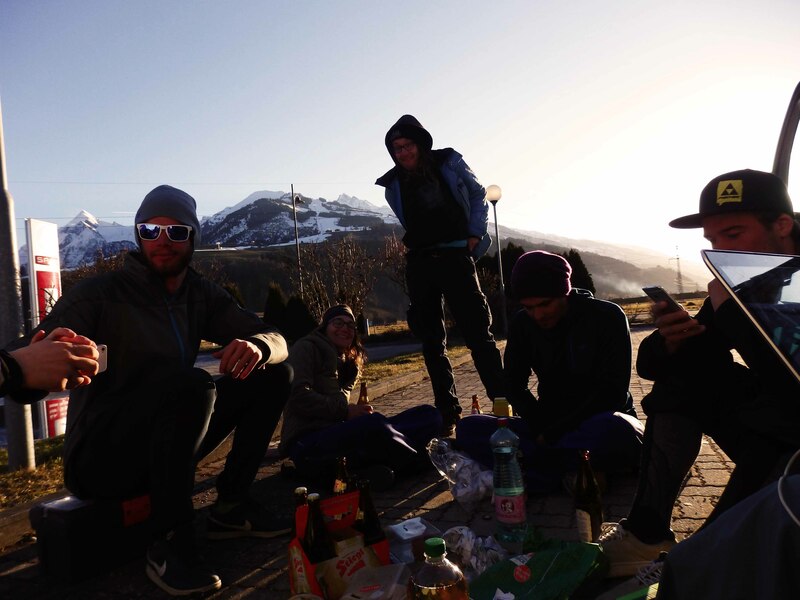 As already mentioned above, the party was massive and started at the parking lot in the last sun-rays of the day. Next day to get over the hangover we went skiing in the slush and a friend tried snowboarding the first time in his life, while I was ‘teaching’. Very talented, definitely a worthy man for the leader trikot. It looks like you guys had an awesome comp that weekend. Some of my mates who were there said it was a fun group!